In a truly tempting deal, the official Guitar Hero store on Red Octane's site is offering Guitar Hero 5 along with a two wireless guitars for only $99. It's instant co-op in a convenient package. 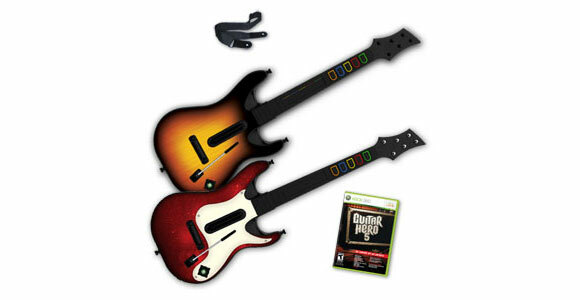 The package actually contains a Guitar Hero 5 wireless guitar along with a Guitar Hero World Tour wireless guitar. It'll make an excellent addition to your already substantial plastic instrument collection. The package is available on both the Xbox 360 and PlayStation 3. Remember folks, Guitar Hero 5 is the most co-op Guitar Hero yet!